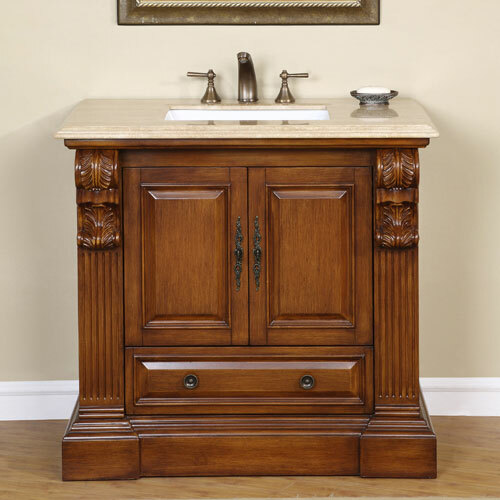 Beautiful with its intricate carvings and warm finish, the 38.75" Kalivas Single Vanity does wonders to any bathroom. 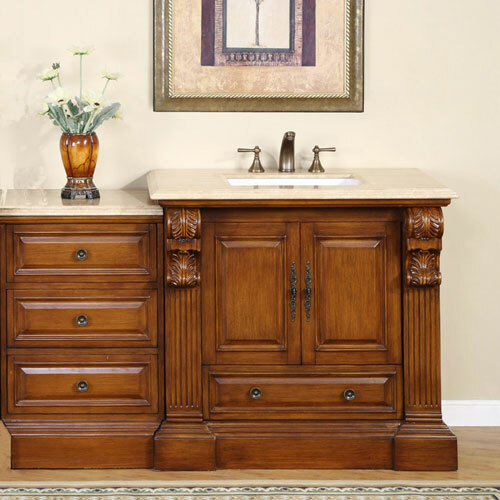 Featuring a gorgeous distressed cabinet design, this cabinet offers a double-door cabinet and single drawer of storage space, all equipped with soft-closing hinges and drawer slides. 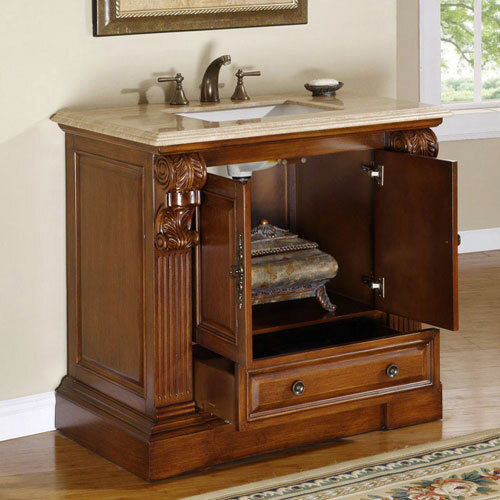 The top is made from Roman Vein-Cut Travertine and matched with an undermount white ceramic sink. Faucets are not included. The Kalivas is great for transforming any traditional bathroom into a work of art. 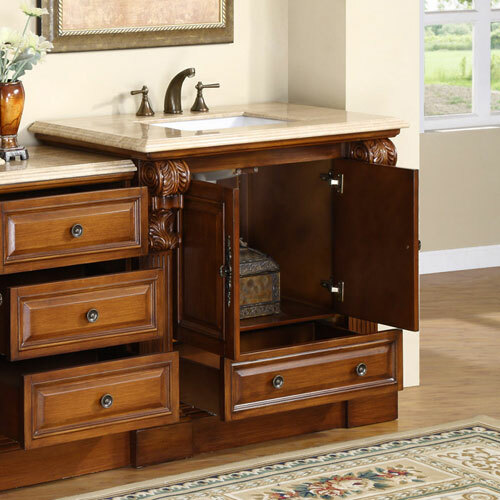 An optional drawer bank provides additional storage and counter space for your new vanity.